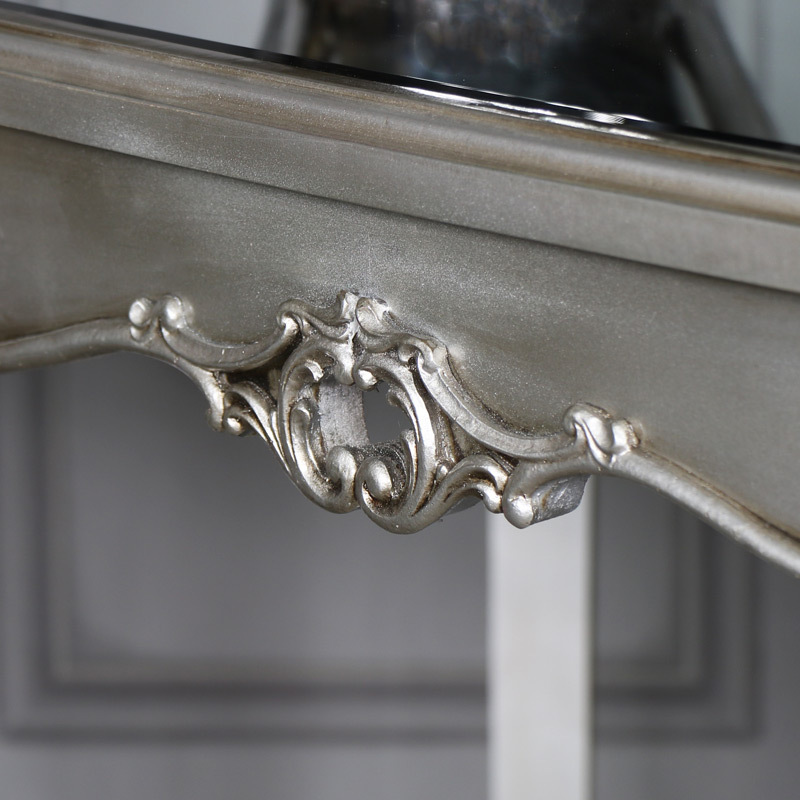 This is our Tiffany Range dining table, stunning ornate French elegance, perfect for a vintage dining room. 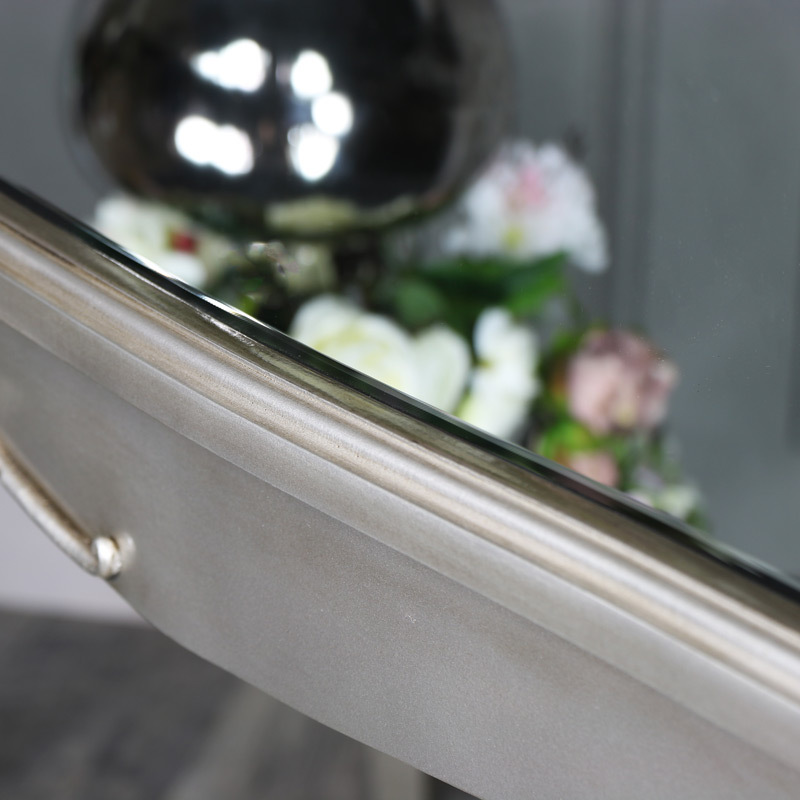 Luxurious elegance that will add the 'WOW' factor to your home. 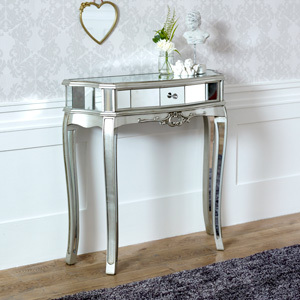 This gorgeous table epitomises the sophisticated and graceful elegance of the French style. Easily seats up to 6 people. 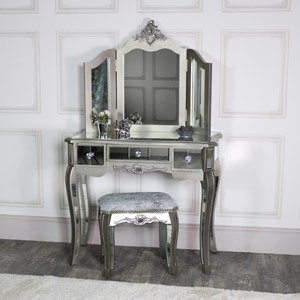 Perfect for entertaining guests in extravagant luxury with mirrored surface and panelling on the legs. 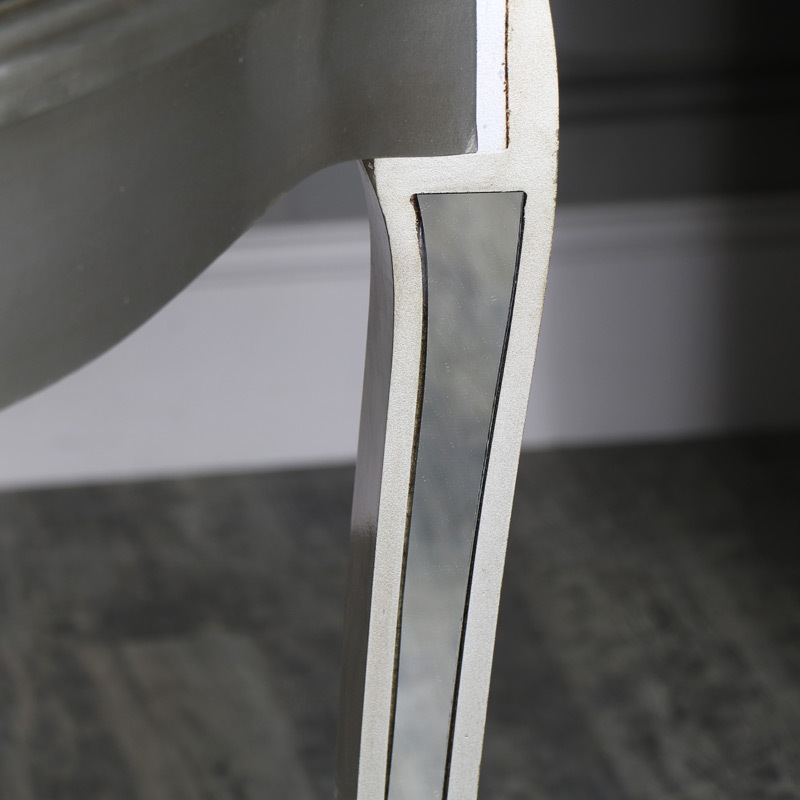 With ornate detailing on the sides of the table that is in keeping with the overall look. 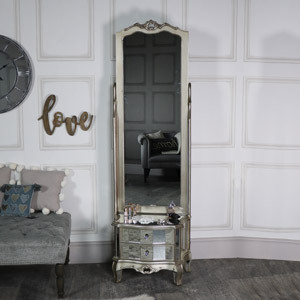 With even more furniture in our gorgeous Tiffany Range for your living room, hallway and bedroom. All with mirrored paneling that helps to create a spacious home full of elegant style. 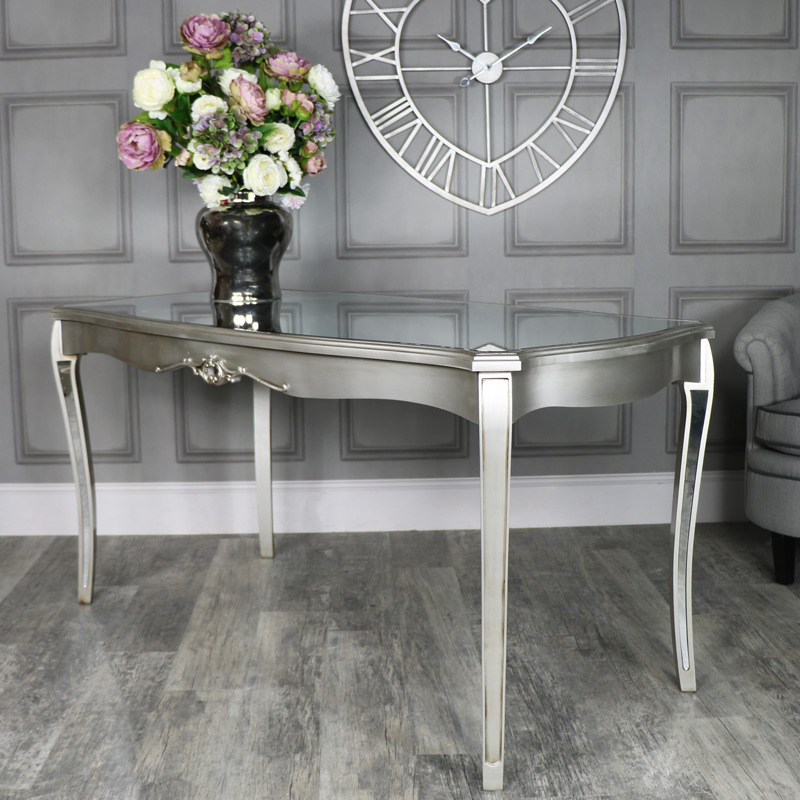 This is our Tiffany Range dining table, stunning ornate French elegance, perfect for a vintage dining room. 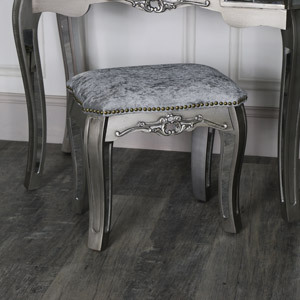 Luxurious elegance that will add the 'WOW' factor to your home. 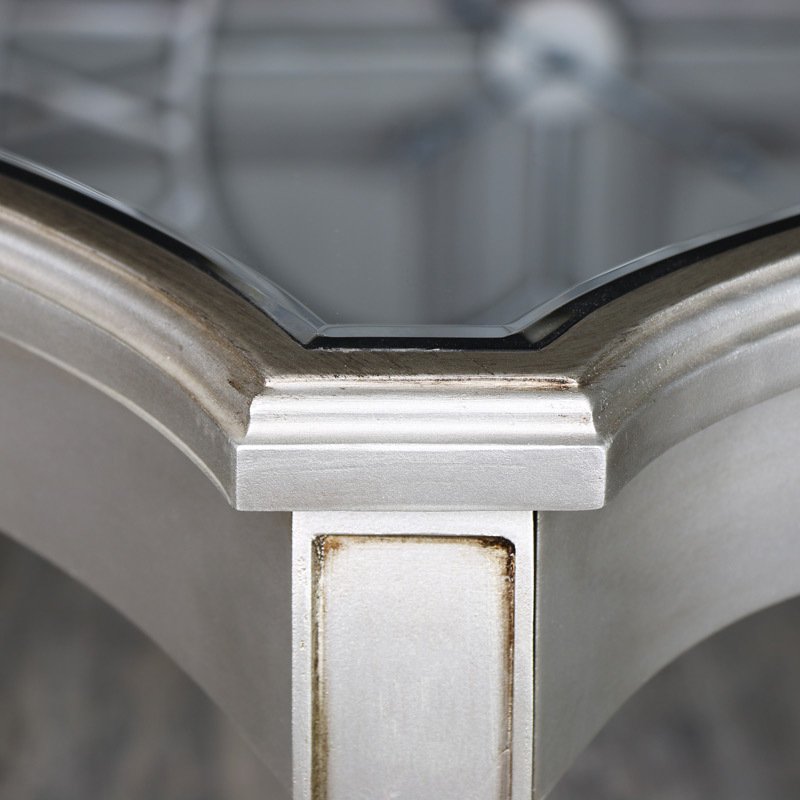 This gorgeous table epitomises the sophisticated and graceful elegance of the French style. Easily seats up to 6 people. 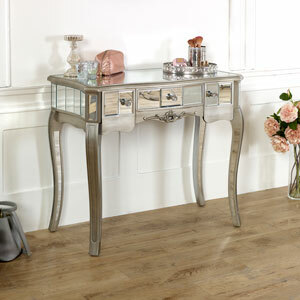 Perfect for entertaining guests in extravagant luxury with mirrored surface and panelling on the legs. 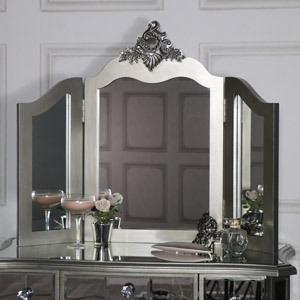 With ornate detailing on the sides of the table that is in keeping with the overall look. 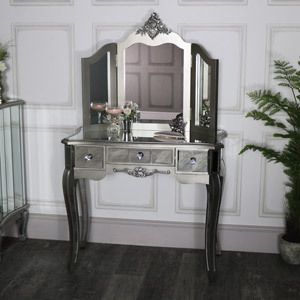 With even more furniture in our gorgeous Tiffany Range for your living room, hallway and bedroom. All with mirrored paneling that helps to create a spacious home full of elegant style. 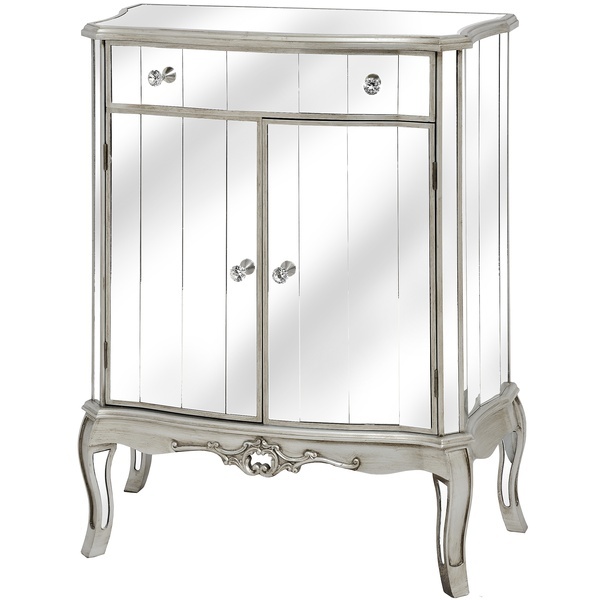 With wooden framework in a silver painted finish with mirrored glass panelling throughout. The table does require some assembly with just the legs to attach and weighs 31kg. 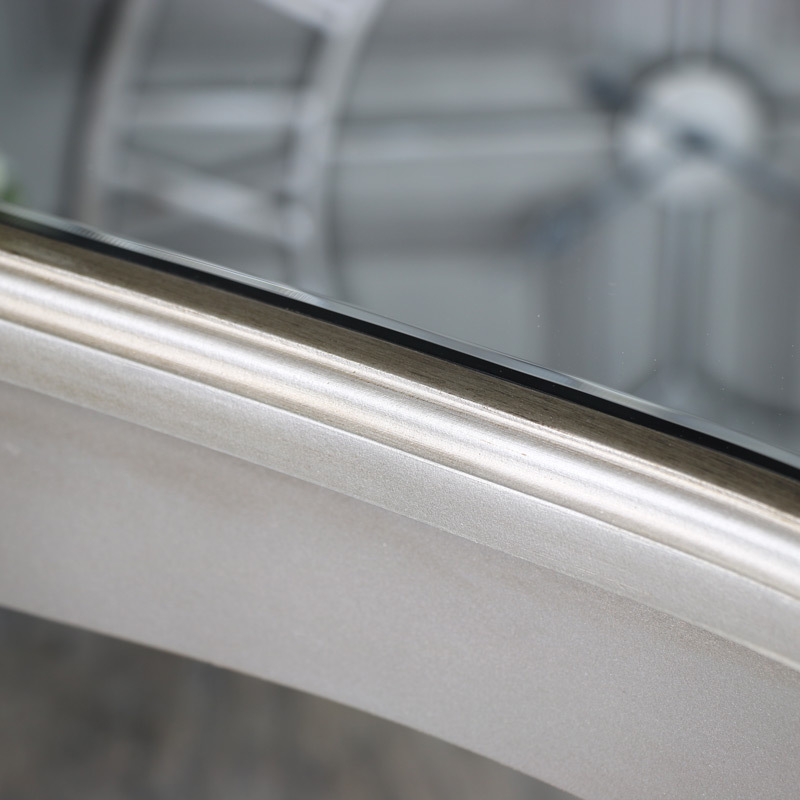 Yes, the Tiffany Range dining table does require assembly with just the legs to attach. 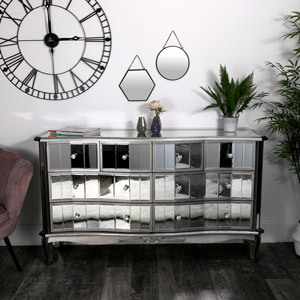 The wooden framework of the Tiffany Range is painted in a silver colour that matches the mirrored panelling beautifully. The body of the dining table is made from a fir wood. 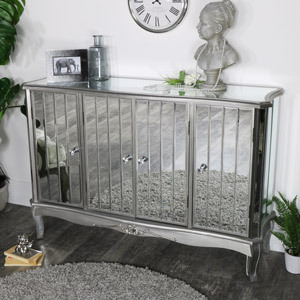 We have a wide selection of furniture available in the Tiffany Range including more chest of drawer, dressing table, wardrobe and bedside tables for your bedroom and console table, TV cabinet, sideboard, side tables and large dresser with even more furniture to complete the whole look.